Clay is co-owner of C+L Creative, an Anchorage-based public relations and marketing firm. Clay has been working in marketing and public relations for over 20 years, most recently as Director of Communications with Alaska's Department of Health and Social Services. He has managed multi-million dollar budgets and launched a multitude of successful statewide health campaigns. 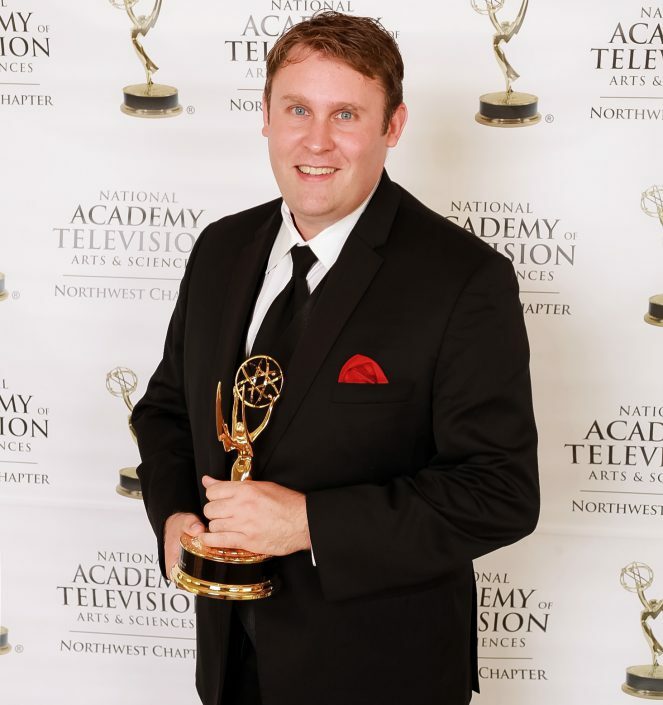 Clay recently won a 2013 Northwest Region Emmy for the creation of a Public Service Announcement about Alaska’s Safe Surrender law and was nominated for two more Emmys in 2014 and 2016. Most recently, Clay was in charge of the Medicaid Expansion marketing for the Alaska Department of Health and Social Services. This campaign won a national award of excellence from the National Public Health Information Consortium for best marketing campaign and for best social media campaign. Clay is a life-long Alaskan and attended West High school in Anchorage, Alaska, and has an MBA from the University of Maryland. He is extra proud of making Laura an Alaskan. Laura and Clay have two adorable kids (C+L aren't biased! ), Andrew, Jules and a chocolate lab, Fritz, who they treat like a third child. Laura is the co-owner of C+L Creative, an Anchorage-based public relations and advertising agency. Laura was a television news anchor and reporter for fifteen years in several states, including Alaska, where she finally put down her roots in 2001. Currently, she specializes in public relations, social media campaigns, video production, and earned media, making sure you get the news coverage your event or message deserve. Laura has worked on a number of regional and statewide campaigns, including Rasmuson Foundation's, Plan4Alaska, Anchorage School District, School Bonds, Oil tax reform, several public health and community campaigns. She has won several Telly awards for excellence for videos she has produced. Most recently both Laura and Clay were nominated for a 2016 Emmy for their video highlighting the mission of Habitat for Humanity Anchorage. Laura is a proud military brat that graduated from Colorado State University and is thrilled to call Alaska her home for the last 17 years. Laura loves running Anchorage's awesome trails and laughing until her sides hurt with amazing friends and family. Spending time with Clay, her kids and dog make Laura's life one she will always over-post about on Facebook! We'd love to hear from you. Fill out the form below or call 907-227-0187 to get started.